Violet root rot (VRR), caused by the fungus Helicobasidium purpureum (anamorph Rhizoctonia crocorum), is a common problem for carrot growers in the Ohakune region of New Zealand. VRR can still be problematic even after many years of fallow, suggesting that alternative hosts may be maintaining and harbouring the disease. Seeds from a selection of common weed and pasture (ryegrass, clover and plantain) species sourced from the Ohakune area were planted into pots of steam-sterilised Ohakune soil and grown in the glasshouse. Following seedling establishment, pots were inoculated with H. purpureum. Four and a half months post inoculation, all plants were assessed visually, and then well-rinsed root samples were taken for DNA extraction and PCR testing. 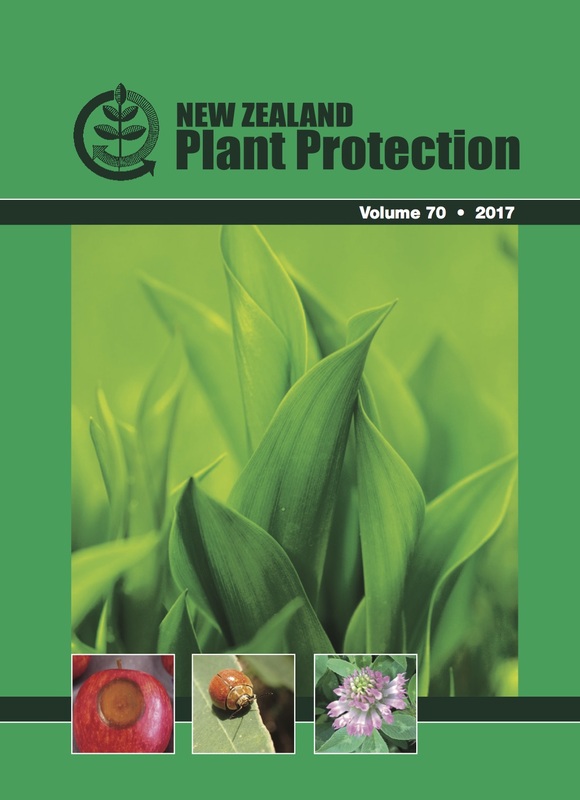 Of the nine weed species assessed, all tested positive for H. purpureum by PCR, and seven had visual symptoms on plants. For the twelve pasture species assessed, ten tested positive for H. purpureum by PCR, while eight had visual symptoms on plants. Some plants, in particular various clovers, plantain and dock, had numerous sclerotia on the outside of roots. These results indicate that alternate hosts in pasture or fallowed fields are capable of harbouring H. purpureum.